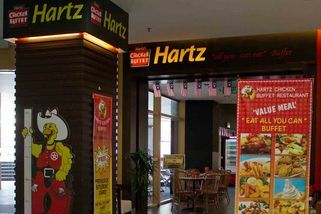 If you’re craving for some serious marinated crispy fried chickens, head down to Hartz Chicken Buffet as fast as you can! Established more than 30 years ago in Texas, USA, the well-known fried chicken franchise has created an empire on its own. 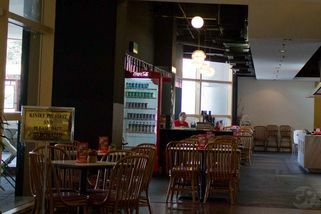 With multiple outlets in USA and several more in Malaysia, Hartz Chicken Buffet serves in buffet style so that you can enjoy delicious food and great time with your loved ones. 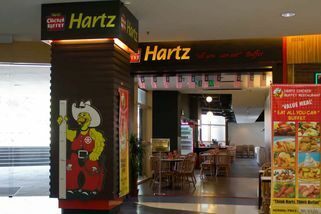 With variety of chicken style to choose from (fried to roasted), Western and Asian delights like fried rice and steamed vegetables, unlimited ice creams and soft drinks, you can never leave Hartz Chicken Buffet feeling unsatisfied. Like their famous tagline implies, “Eat All You Can!”.